NASA's new Neutron star Interior Composition Explorer (NICER) mission to study the densest observable objects in the universe has begun science operations. 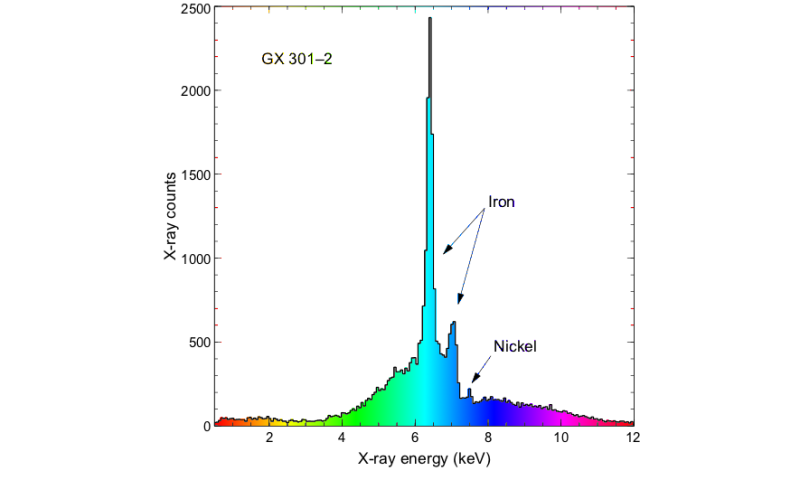 Launched June 3 on an 18-month baseline mission, NICER will help scientists understand the nature of the densest stable form of matter located deep in the cores of neutron stars using X-ray measurements. NICER operates around the clock on the International Space Station (ISS). In the two weeks following launch, NICER underwent extraction from the SpaceX Dragon spacecraft, robotic installation on ExPRESS Logistics Carrier 2 on board ISS and initial deployment. Commissioning efforts began June 14, as NICER deployed from its stowed launch configuration. All systems are functioning as expected. "No instrument like this has ever been built for the space station," said Keith Gendreau, the principal investigator for NICER at NASA's Goddard Space Flight Center in Greenbelt, Maryland. "As we transition from an instrument development project to a science investigation, it is important to recognize the fantastic engineering and instrument team who built a payload that delivers on all the promises made." To date, NICER has observed over 40 celestial targets. These objects were used to calibrate the X-ray Timing Instrument and supporting star-tracker camera. The observations also validated the payload's performance that will enable its key science measurements. Along with the instrument's transition to full science operations, the embedded Station Explorer for X-ray Timing and Navigation Technology (SEXTANT) demonstration will begin using NICER data to tune the built-in flight software for its first experiment. "Our initial timing models use data collected by terrestrial radio telescopes," said Jason Mitchell, the SEXTANT project manager at Goddard. 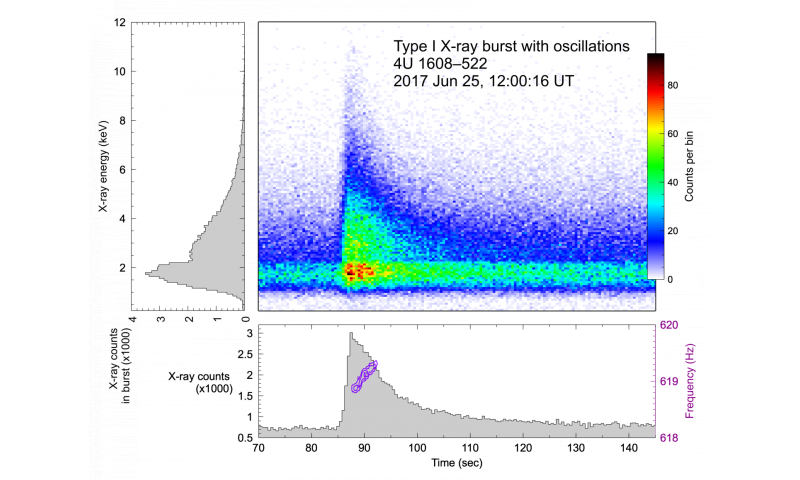 "Because NICER observes in X-rays, we will account for the difference between the pulses we recover in X-rays compared to our radio models." Once NICER collects data on each of SEXTANT's target pulsars, the software will exploit timing models developed using NICER-only data. NICER-SEXTANT is a two-in-one mission. NICER will study the strange, ultra-dense astrophysics objects known as neutron stars to determine how matter behaves in their interiors. SEXTANT will use NICER's observations of rapidly rotating neutron stars, or pulsars, to demonstrate autonomous X-ray navigation in space. NICER is an Astrophysics Mission of Opportunity within NASA's Explorer program, which provides frequent flight opportunities for world-class scientific investigations from space utilizing innovative, streamlined, and efficient management approaches within the heliophysics and astrophysics science areas. NASA's Space Technology Mission Directorate supports the SEXTANT component of the mission, demonstrating pulsar-based spacecraft navigation.